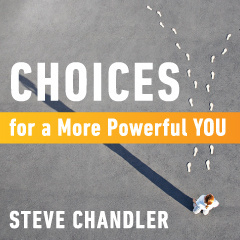 CHOICES for a More Powerful YOU includes the following downloadable mp3 audio programs by Steve Chandler. We offer the following audio programs for your personal use and enjoyment. Please write Maurice Bassett at reinventingyourself@gmail.com for purchase information on group use, reselling and other forms of distribution.